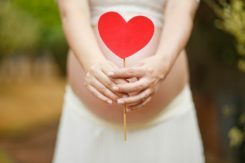 This is the 8th blog in the series How to Get Pregnant Fast. This article is about miscarriage, why it happens, the stats and how to cope if it happens to you. Recurrent miscarriage is a term used if you have lost 3 or more pregnancies. It is at this point that most medics will begin to investigate the cause of your miscarriages. Up until this point it is usual to be told that you have just been unlucky and to keep trying. There are various causes of recurrent miscarriage, some of which are treatable, but for some couples no cause is ever identified. However, 60-70% of women who have had repeated and unexplained miscarriages go on to have healthy pregnancies. One study looking at recurrent miscarriage suggests that some women’s wombs are too good at letting embryos implant and will accept all embryos including the poor quality ones that other women would reject. The study concludes that in these cases ‘super fertility’ is responsible for unexplained recurrent miscarriage. So, if you have experienced recurrent miscarriages instead of ‘there’s something wrong with me’ maybe try thinking ‘my body is too good at this’. How you think about things has a significant impact on your mood and your mood will determine you ability to cope with miscarriage. 1. Take one day at a time and try to distract yourself as much as you can by filling your time with activities that give you a sense of achievement and enjoyment. 2. Keep your mind focused on what is happening now and try to resist the urge to make predictions about what might happen in the future, particularly catastrophic ones. To keep your mind present practice meditation which research has shown to be extremely helpful in managing distress and other negative emotions. 3. If you find statistics helpful, this day by day miscarriage risk chart may help you to manage your count down. 4. Check out the self-help programmes in the book that accompanies this blog series to help you to better manage your emotions. Good luck on your fertility journey!